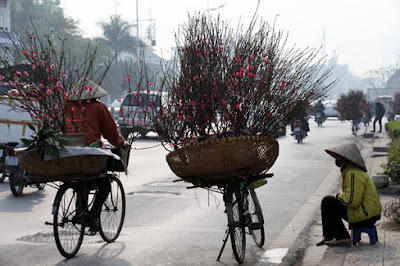 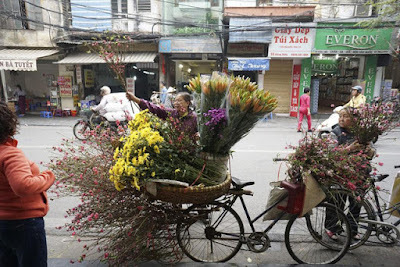 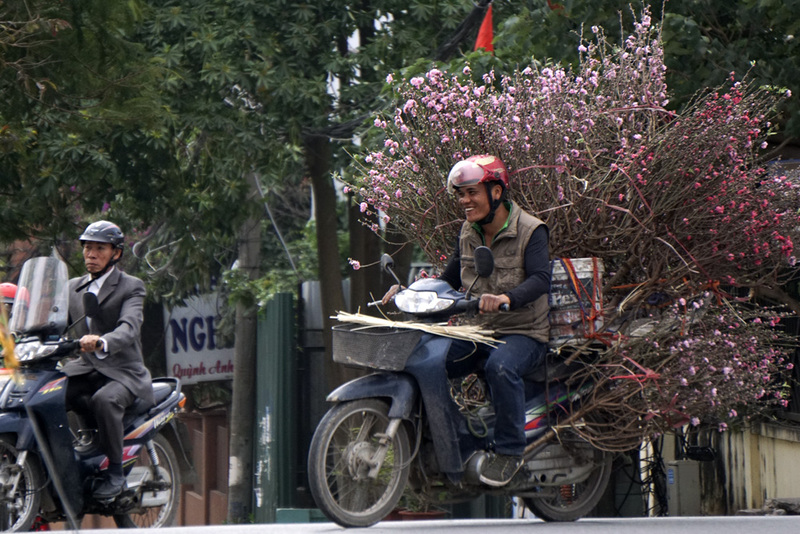 Hanoi streets each spring be added color of the trains carrying early flowering peach. 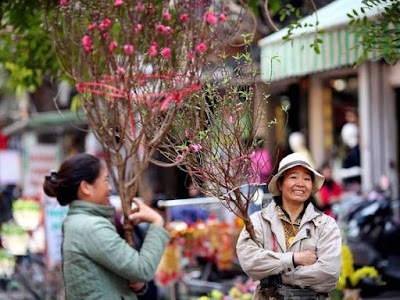 Flower peach red bring traditional flavors, it attract the people of the capital when only less than a month left until Tet holiday. 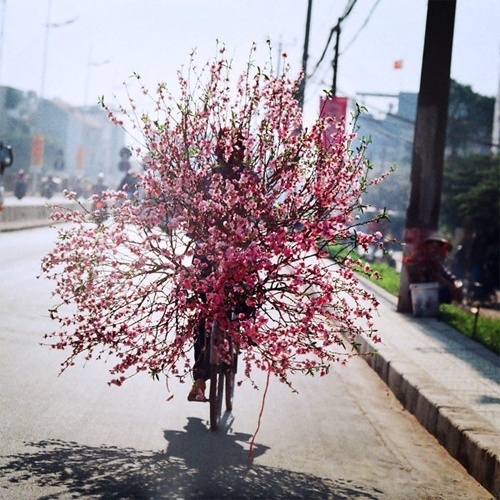 Guests choice flower peach on the street. 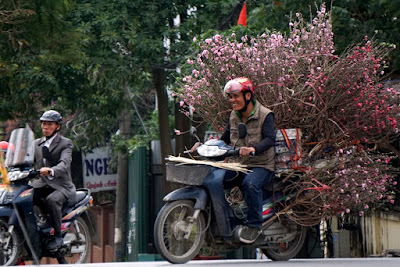 people buy flower, can put in the tea-table, or plug are beautiful vases on the altar.